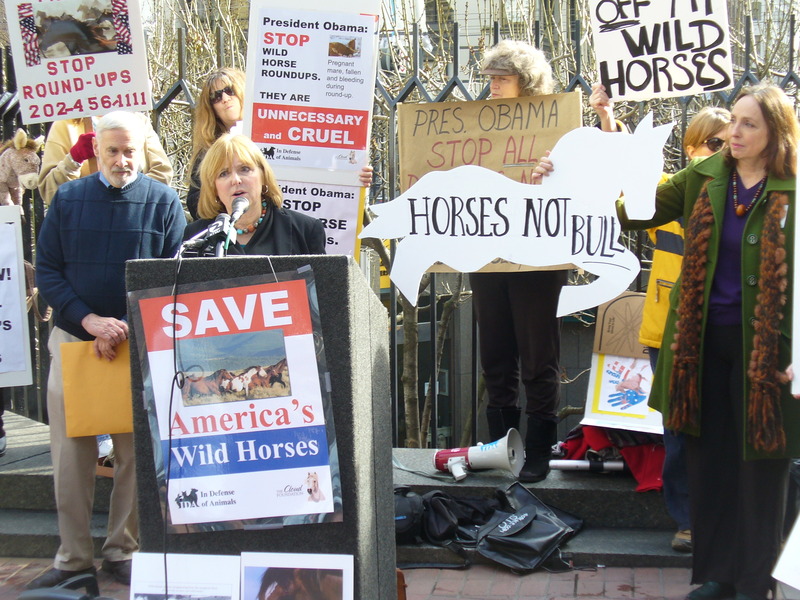 Come to the rally to show that you care about the wild horses and burros in America. Bring homemade signs and your friends. It will be hot so bring a rain umbrella for shade and plenty of water. Protect Mustangs encourages members of the public to carpool or take Amtrak to save on fuel and reduce pollution. Oil and gas extraction–on public land–is one of the main reasons wild horses are being wiped off their home on the range. Be part of the solution and take the train if you can. The voiceless wild horses and burros need your help after the rally too. Give oral or written comment against helicopter roundups and attend the 6:30 pm BLM Wild Horse & Burro Helicopter/Vehicle Use Public Hearing for roundups and management. The meeting runs from 6:30-8:30 PM at the Woodlake Hotel (formerly the Radisson near Arden Fair Mall) 500 Leisure Lane in Sacramento. Special thanks to Jetara Séhart, Executive Director of Native Wild Horse Protection & Marin Mustangs for her help to put together this event.